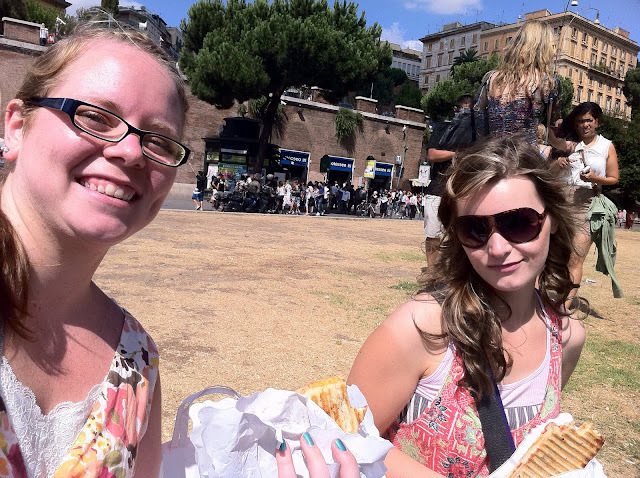 After a 6 hour overnight train ride of sitting in the aisles, we finally arrived in Rome. 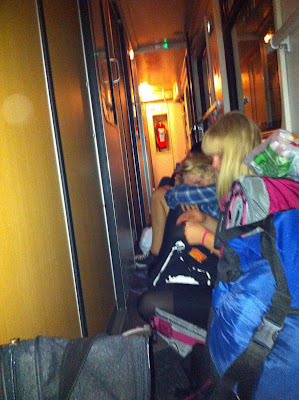 Italy's transport went on strike that day and our only option was a full train. I couldn't even sleep. Exhausted beyond care we spent 70€​ on a taxi to get to our Hostel. But don't worry, it got better. 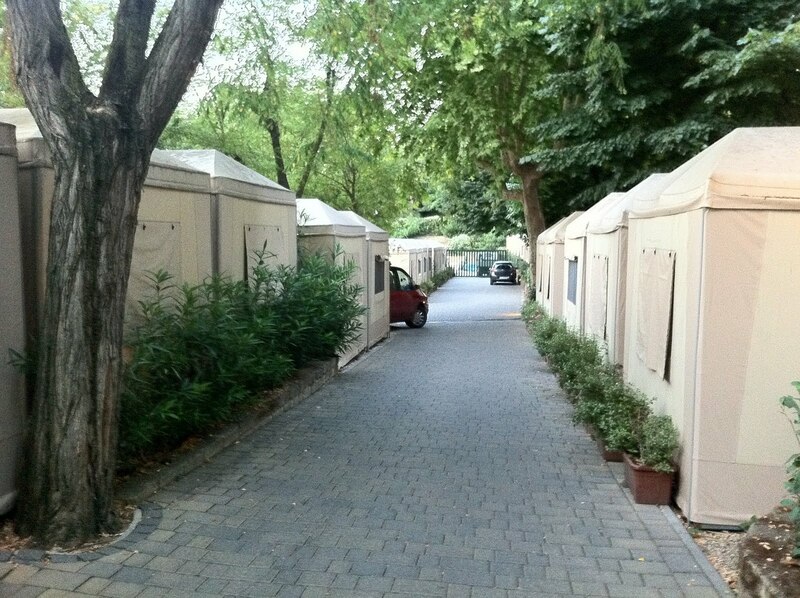 The Hostel where we stayed is called Plus Camping Roma. There are some ups and downs to it. Pros: Great price, Staff available to help answer questions, Shuttle to popular sites, Other young people to meet, Restaurant with pretty tasty cheap food, Supermarket, Laundry mat, Nice clean bathrooms & Showers, Swimming pool, Bus stop very close, free Wifi & an internet room with computers to use with a fee. We headed out to ancient Rome the next day. In the Colosseum, it was surreal walking around the very place that countless people were killed for entertainment's sake, including martyrs. Hard to believe I was really there, walking through the Roman Forum, streets thousands of years old, getting just a sample of what Rome may have been like when Apostle Paul was there. Amazing. 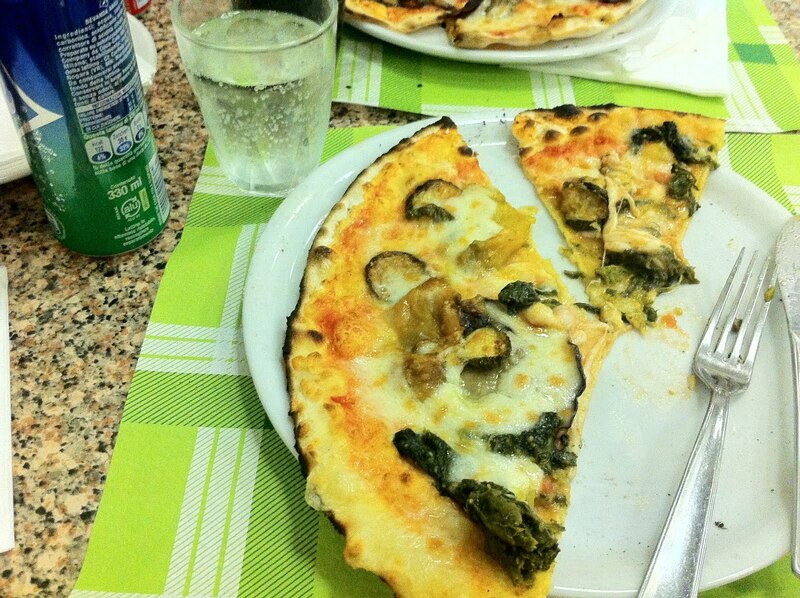 After a long day of walking and seeing the unbelievable sites, we rested our tired legs at Pizzeria Nuovo Mondo. There were a few vegetarian options. We went with an eggplant, pepper and spinach pizza on a very crispy crust. DELICIOUS! The waiter was a young guy, very kind and working hard to be attentive to each table in the busy, family-packed restaurant. We sat there, enjoying the locals sitting at large tables with their families, each with their own pizza, some folding large pieces in half, laughing and chatting, enjoying each other's company. So refreshing. I love the culture. 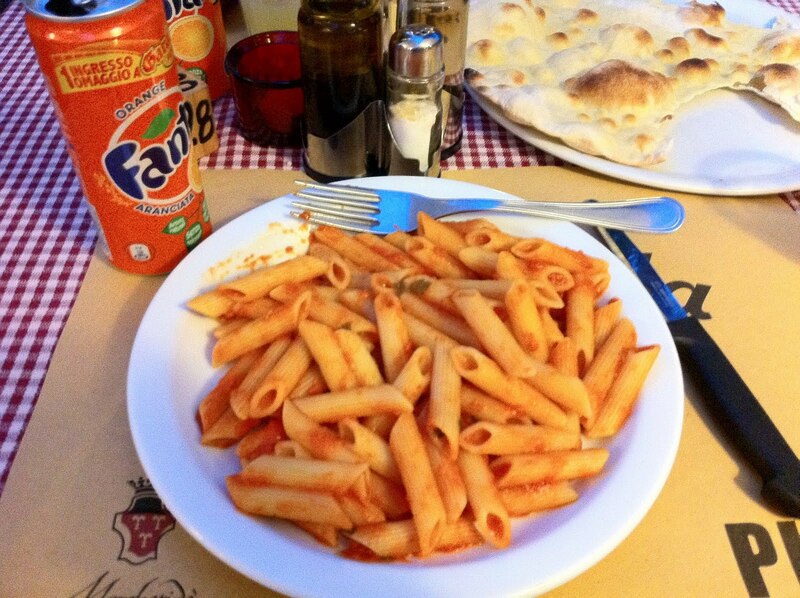 The whole menu was in italian. Always a good sign. Day Two: Vatican City.. We attempted to see everything, waited in line for a 30 minutes or so. It led us to St. Peter's Basilica. Everything else was closed because it's Sunday. So be aware of that. Afterwards we visited breath-taking Trevi Fountain, got dinner and did some shopping. 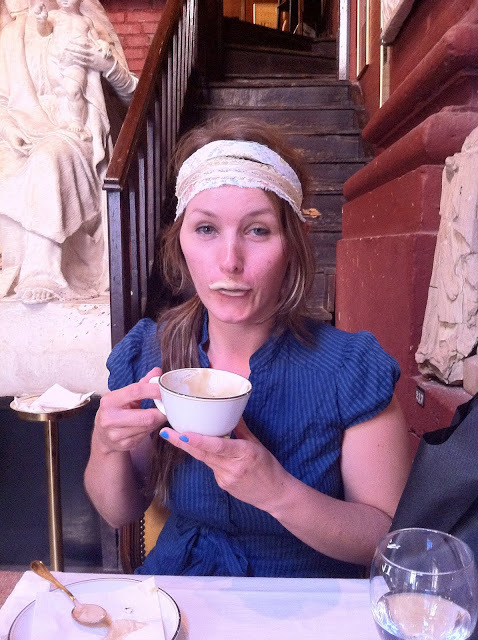 As I was looking for a place I had read about online, I stumbled upon this unique restaurant/museum called Museo Atelier Canova-Tadolini. Loaded with statues (even surrounding the tables), gold-cushioned chairs, & fancy decor... this restaurant is classy! It is definitely very pricey, but not unusually pricey for a nice restaurant. The food tasted very fresh and was presented elegantly. I loved it! I had a hard time deciding what to eat because there were several dishes to choose between that sounded so good. I had a salad and ravioli. We had to order a cappuccino for dessert because I had read that Rome is known for the best. It was an excellent capp but I would have enjoyed it so much more if it was soy or rice milk. I really don't like the taste of milk. When asked for the leftovers "to-go" they put it in a cute reusable cloth bag! I would definitely recommend this restaurant! It was a great time. what the heck ya doin in it-ley? This post is amazing. I love your pics. Itley, what the heck you doin in Itley? !